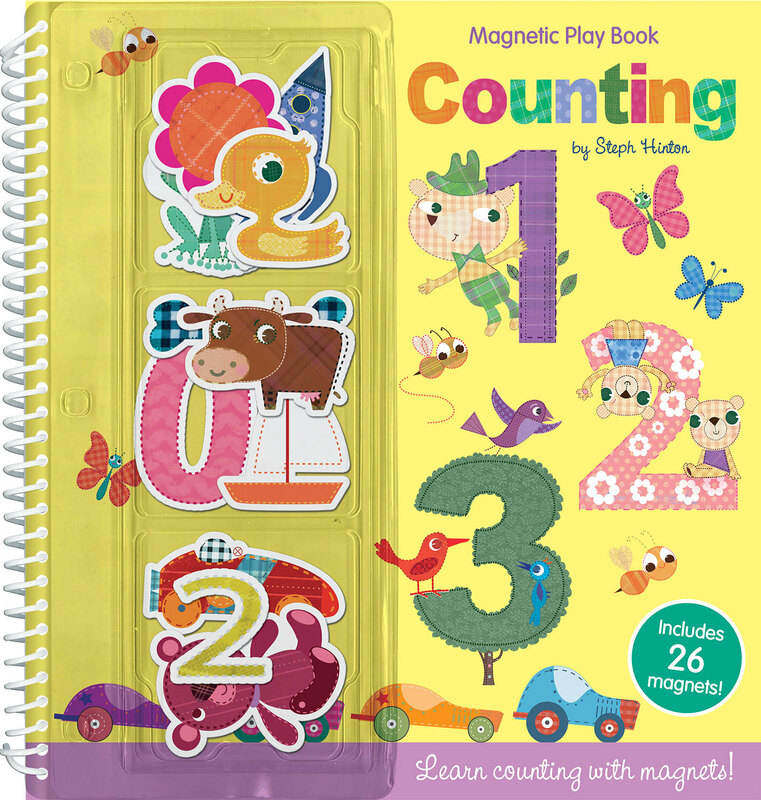 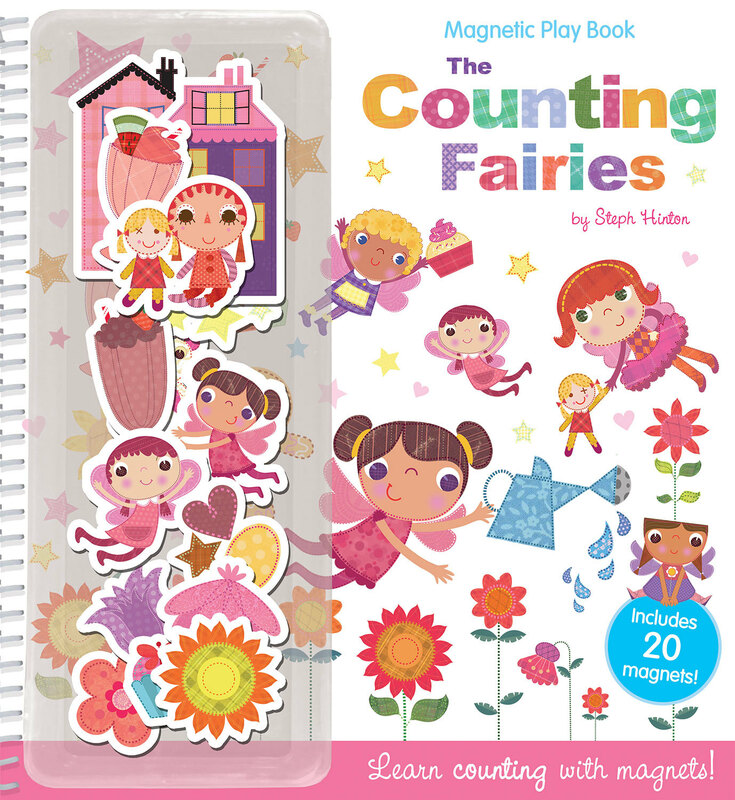 Magnetic Playbooks are a preschool novelty series that features magnetic pages and over 19 magnetic play pieces in each book. 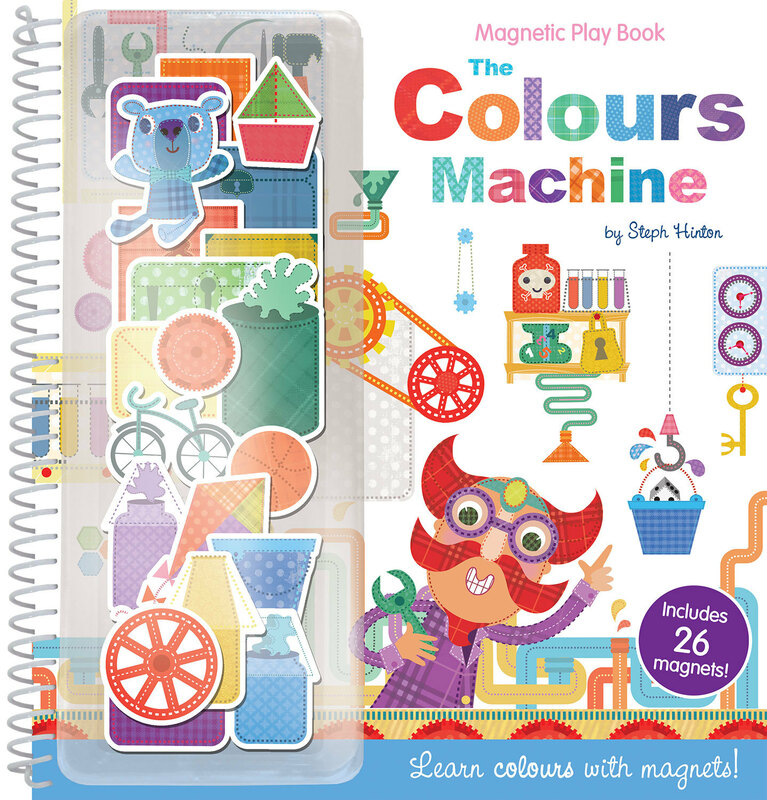 Illustrated by Steph Hinton, the vibrant patchwork artwork will inspire boys and girls aged 3+ to complete the fun learning activities again and again. 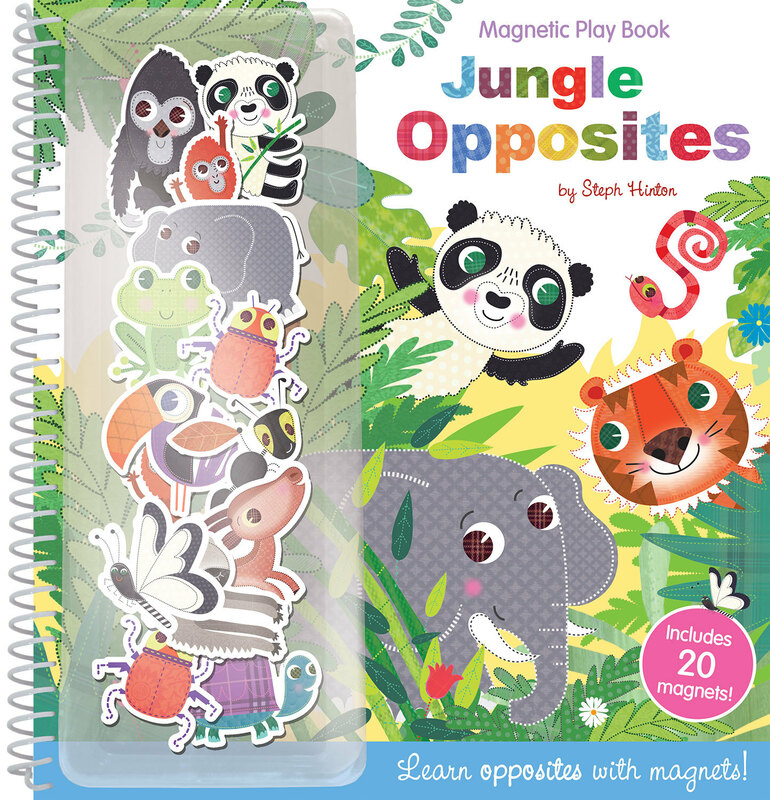 Both Jungle Opposites and The Colours Machine support early years learning objectives and include a compartment so the magnetic play pieces can be safely stored when the book is not in use. 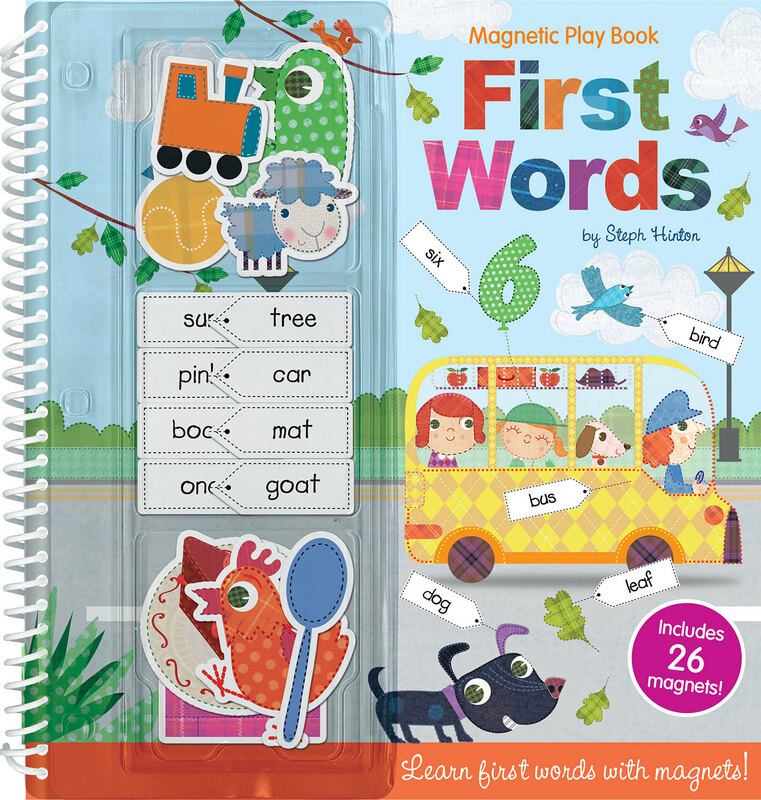 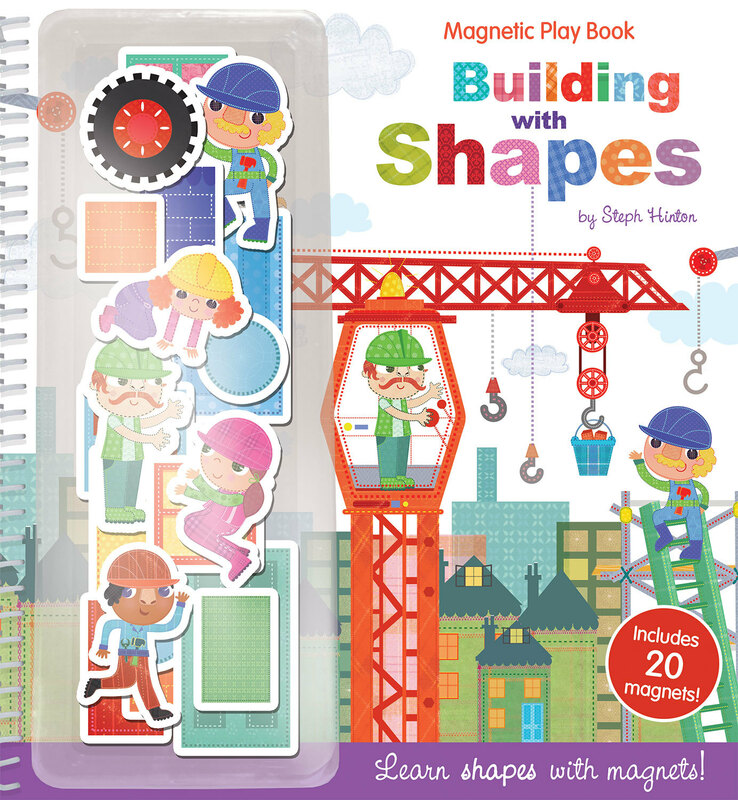 Magnetic Playbooks are part of a wider range of Steph Hinton novelty and activity titles that will help children prepare for starting at school.